Boasting natural beauty, some of the United State’s best loved attractions, and the incredible creativity, glitz and glamour of Hollywood, Los Angeles is a city that is captivating and intriguing. There’s plenty to see and do across the sprawling city, regardless of how much time you have to spare. Before you touch down in the ‘City of Angels’, be sure to check out our top 10 things to do in Los Angeles! Located to the west of Downtown Los Angeles, Venice Beach is not only one of the city’s most popular beachside spots, but it is also home to an eccentric artistic community. Street performers and artists line the Venice Ocean Front Walk (best known as ‘the boardwalk’), while people of all ages enjoy games of volleyball, basketball and handball at beachfront courts, pump iron at the famed Muscle Beach or simply enjoy a stroll along the promenade. Lined with eclectic boutiques, great food outlets and a variety of retailers, there’s so much to see and discover across this interesting part of L.A.
First envisioned in the late 1950s as a way to recognise the contribution of individuals and groups to film, television, music, radio and live theatre, the Hollywood Walk of Fame has grown to become a true icon of Los Angeles. 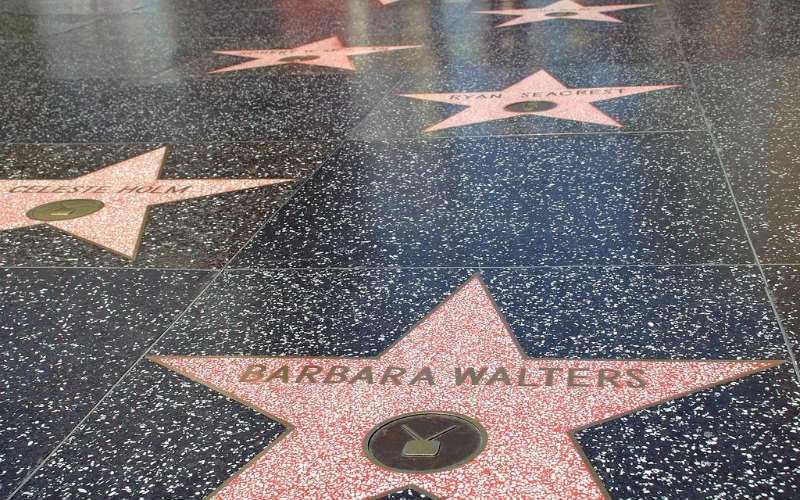 Today, more than 2,500 coral coloured stars lay embedded in the sidewalk of Hollywood Boulevard and Vine Street, with names such as Michael Jackson, Charlie Chaplin, Walt Disney and Arnold Schwarzenegger scattered along the famous walkway. More than a dozen fictional characters, including Mickey Mouse, Godzilla and Winnie the Pooh also have their own stars thanks to their popularity and contribution to pop culture. Hollywood Walk of Fame. Image Credit: Gunther Hagleitner / CC by 2.0. The largest municipal park in Los Angeles, Griffith Park covers a spectacular 1,704 hectares and is home to some of the city’s best loved attractions. From the iconic Hollywood Sign (situated on the park’s western edge), through to the Los Angeles Zoo, the Autry Museum of the American West and around 80 km of trails perfect for hiking and mountain biking, the park offers visitors so much to see and do within its expansive boundaries. 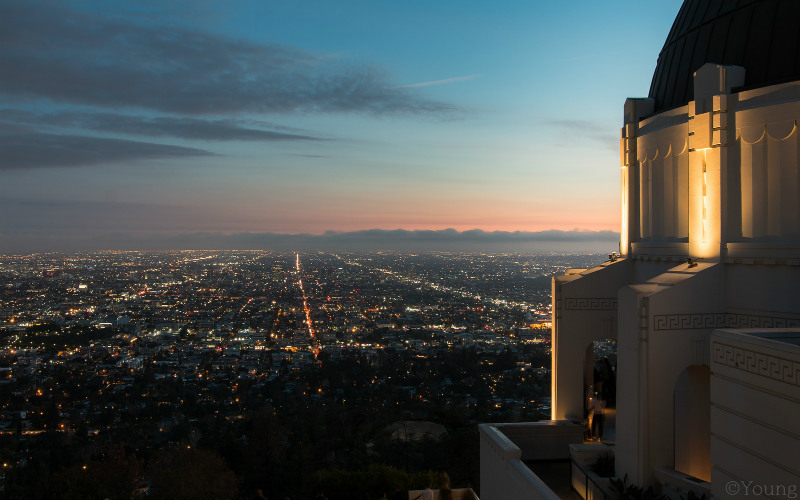 One of the park’s most interesting drawcards, the Art Deco-style Griffith Observatory is well worth a visit, whether you happen to stop by during the day or at night, offering incredible views of the city and all the equipment needed to enjoy the heavens above after dark. Griffith Observatory. Image Credit: crispymen / CC by ND 2.0. Situated on the city’s western fringe, the Getty Center is said to be one of Los Angeles’ most important cultural institutions, welcoming more than a million people each year and displaying a fascinating collection of artworks from across the globe. From paintings and sculptures through to photography and outdoor installations, the Getty’s collection is expansive and captivating. Housed within a spectacular modernist complex designed by architect Richard Meier and surrounded by beautifully landscaped gardens, there’s so much more to see during a visit to the Getty Center than just its art collection. Another of the city’s famed beachside spots, Santa Monica Pier is perhaps best known for its iconic Ferris wheel and Pacific Park, the pier’s very own amusement park. 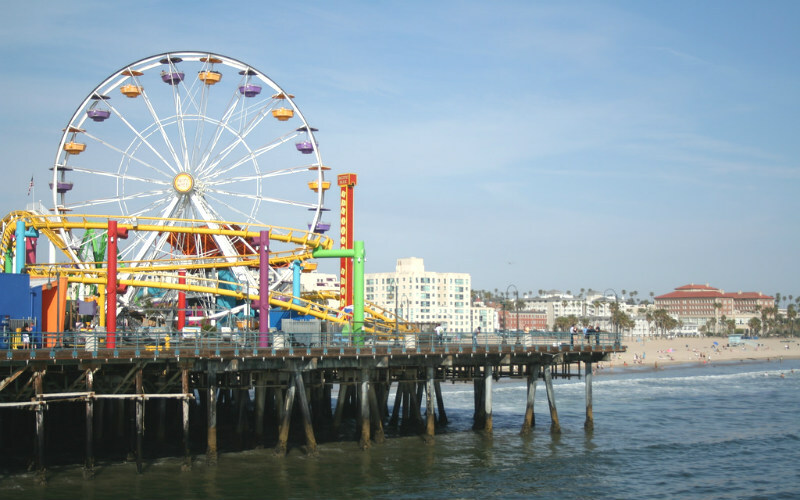 A much loved destination for the young and young at heart, the pier is also home to the Santa Monica Pier Aquarium, an arcade, an historic carousel, a trapeze school and a wide selection of eateries. A great spot to spend the weekend or a sunny afternoon, a visit to vibrant Santa Monica Pier is a Californian experience that shouldn’t be missed. Santa Monica Pier. Image Credit: Phil Scoville / CC by 2.0. 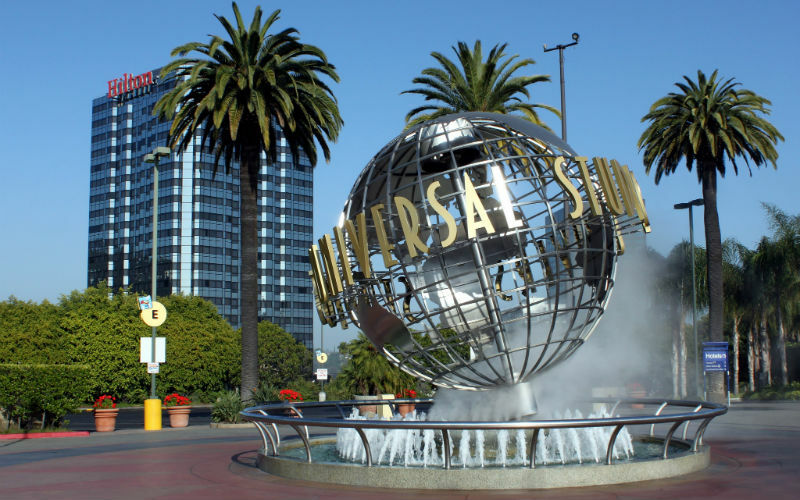 A film studio and theme park located to the northeast of Downtown Los Angeles, Universal Studios Hollywood makes it easy to dive headfirst into the world of film and TV. From fascinating behind-the-scenes tours of one of Hollywood’s oldest film studios through to thrilling rides and attractions based on popular films and television series such as Harry Potter, Jurassic Park, The Walking Dead, The Simpsons and Transformers, a visit to Universal is a great way to spend a day or two. Soak up the magical atmosphere of The Wizarding World of Harry Potter, try your hand at themed carnival games or simply enjoy all the thrills of the park’s world-class rides. Universal Studios Hollywood. Image Credit: Prayitno / CC by 2.0. Boasting uninterrupted views of the Hollywood Sign, Lake Hollywood Park is the perfect place to head to catch a few toursty snaps. A decent sized grassy area with easy access, the dog friendly park is often quite quiet throughout the day and sees fewer visitors than some of the other vantage points found nearby. Two main hiking paths lead away from the park, with routes heading around Hollywood Reservoir or up to the Hollywood Sign itself, making it easy to explore more of the surrounding area. Offering fantastic 360° views of the city, OUE Skyspace LA, the tallest open-air observation deck in California, is another fantastic place to head if you’re looking to soak up the sights of Los Angeles. 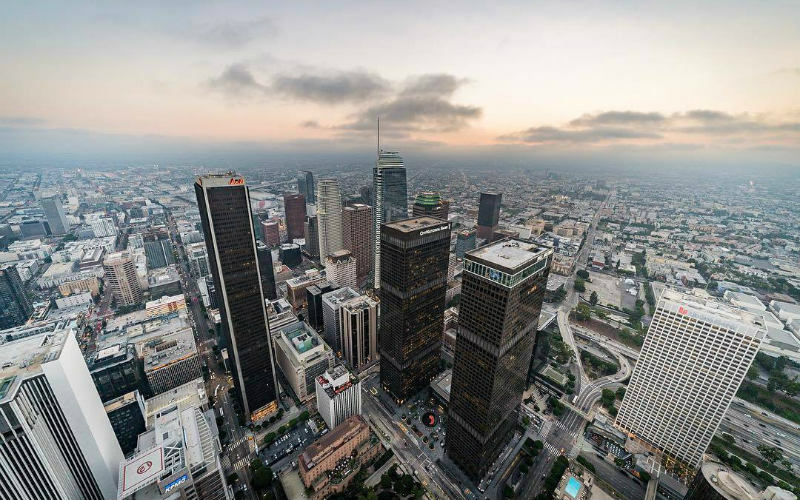 Sitting on the 69th and 70th floors of the U.S. Bank Tower and standing at close to 300 metres above Los Angeles’ bustling streets, OUE Skyspace LA’s unobstructed views of the ‘City of Angels’ and its surrounds are nothing short of breathtaking. In addition to the observation deck, the attraction is also home to the world’s first Skyslide, a short glass slide that extends beyond the edge of the observation deck and take riders directly above the streets below. Skyspace Los Angeles. Image Credit: Skyspace Los Angeles. Earning a reputation as one of the world’s most famous shopping destinations, the iconic Rodeo Drive is the place to head for a touch of a retail therapy. Best known as a hub of luxury brands, such as Louis Vuitton, Gucci, Burberry, Cartier and Balenciaga, the shopping district is slowly evolving to accommodate a wider range of budgets, with some popular chains setting up shop between big name boutiques. 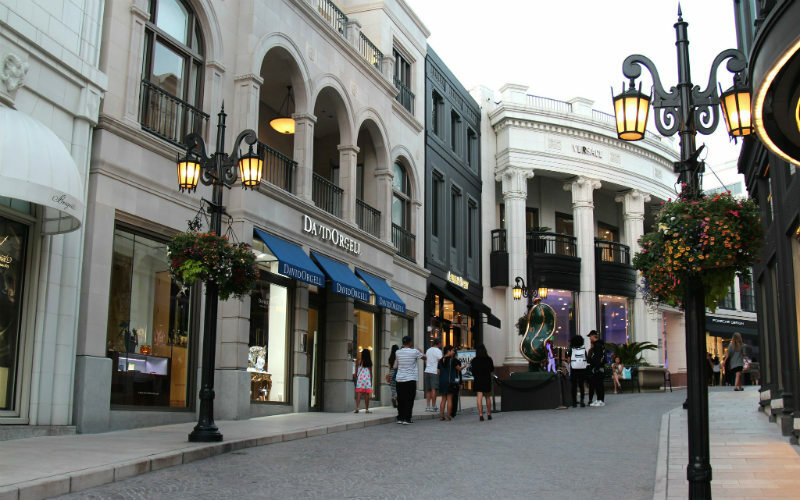 With close to 100 retailers scattered across the Rodeo Drive district, there are plenty of opportunities to enjoy a spot of window shopping or to splash out on the perfect piece to remember your time in Los Angeles. The Via, Rodeo Drive. Image Credit: Prayitno / CC by 2.0. Home to no shortage of interesting things to see, do and experience, Sunset Boulevard, one of California’s most iconic roadways, offers an introduction to Los Angeles that is quite unlike any other. 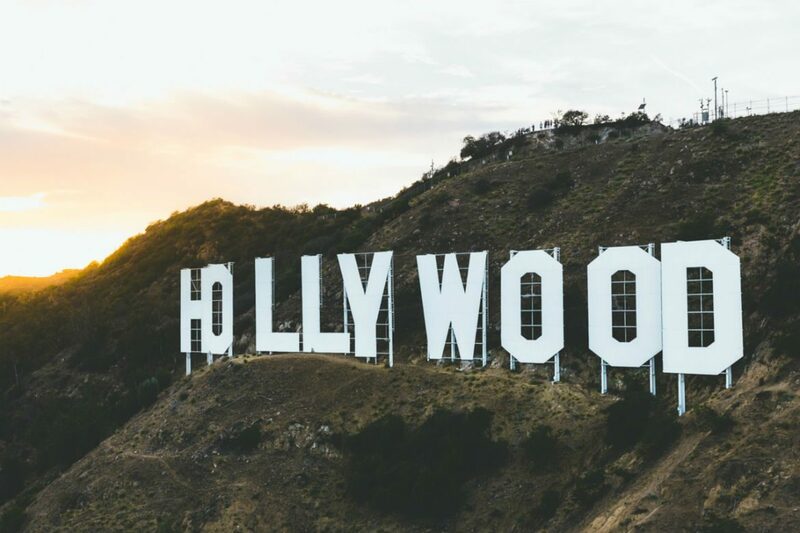 Stretching 35 km from Downtown Los Angeles to Malibu and encompassing the famed Sunset Strip, a drive along the boulevard provides the perfect opportunity to spot infamous celebrity haunts, legendary hotels, and a wide assortment of shops, eateries and more. The boulevard can become quite congested during peak hour, so be sure to plan ahead if you intend to get behind the wheel on the famed road. Ready to see the sights of Los Angeles? Find and compare cheap flights to Los Angeles with Webjet today!